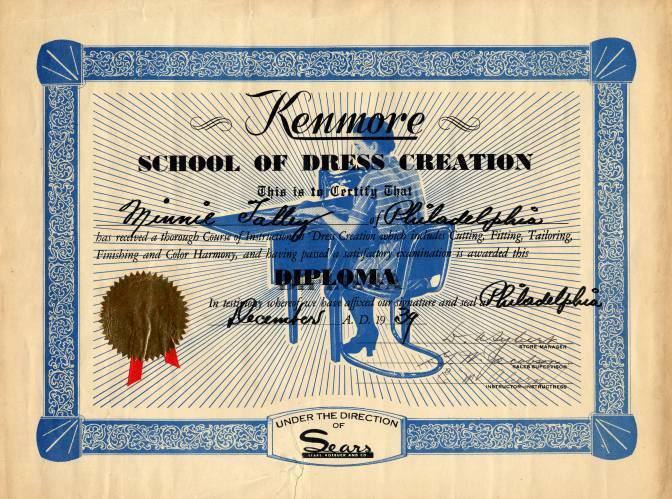 Beautiful certificate from the Kenmore School of Dress Creation issued in 1939. 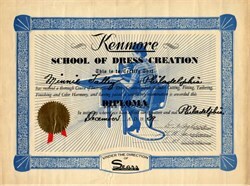 This historic document and has an ornate border around it with a vignette of woman working on a sewing machine. This item has the hand signatures of the store manager, sales supervisor and the instructor - instructress. Small split on bottom.